Back on the road again, on the third day of our trip to Chicago and back, we had another long stretch to go. South Dakota and Minnesota lay out ahead before reaching La Crosse, Wisconsin that night. 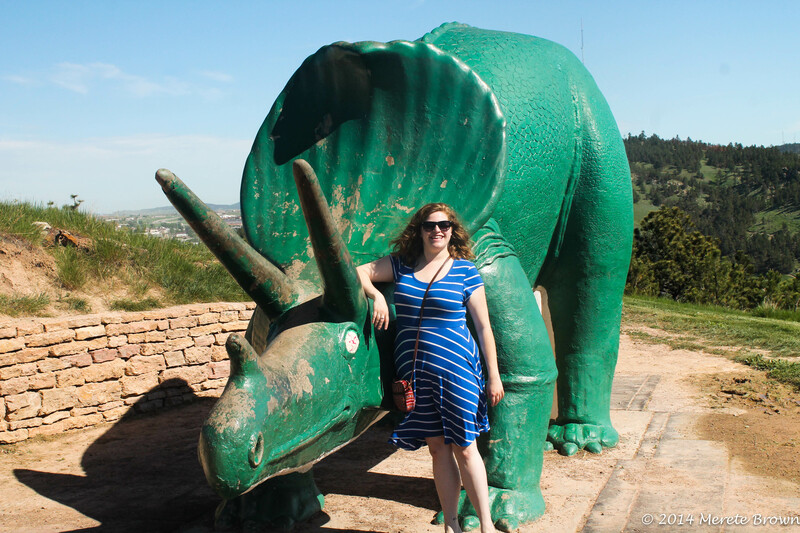 Starting the day off in a fake dinosaur park, it could only get better from there as the sun beat down over Rapid City. Life size replicas represented some of the greats. 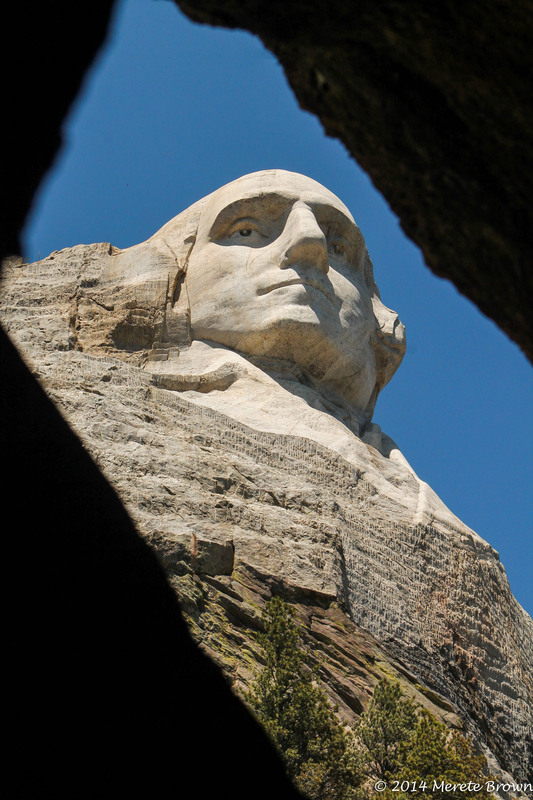 As we drove up through the Black Hills out of Rapid City, it was enviable we would end up at one of the many quirky road side attractions on our way to Mount Rushmore National Memorial. Entirely unsure of what we were getting into, we opted to stop at the Cosmos Mystery Area. 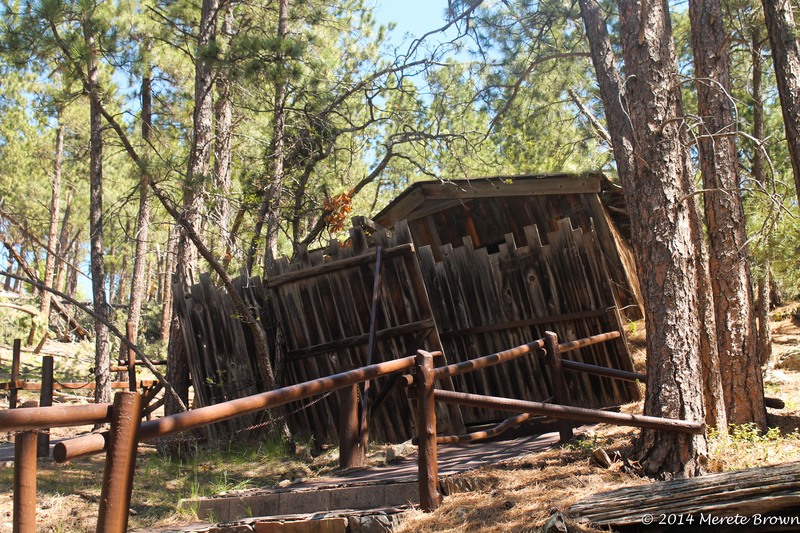 A tour of unusual phenomenons awaited tucked away in the trees. 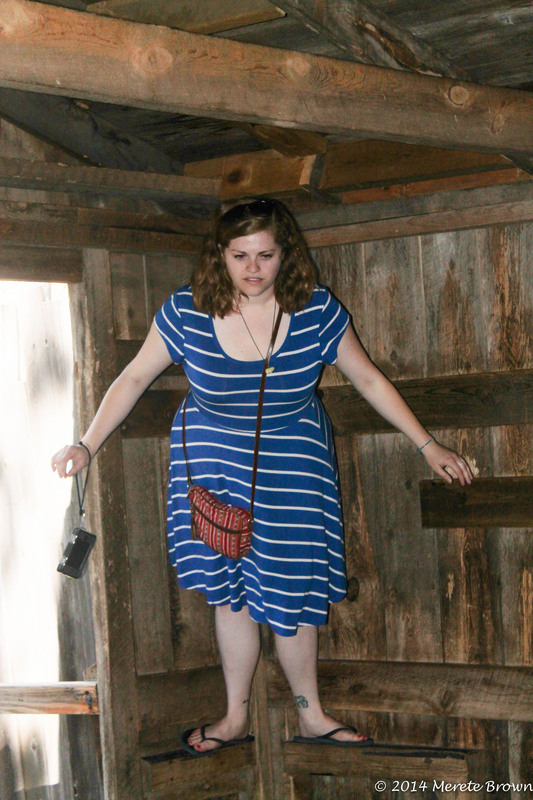 As part of the tour, we witnessed strange gravitational pulls while walking though a slanted cabin. 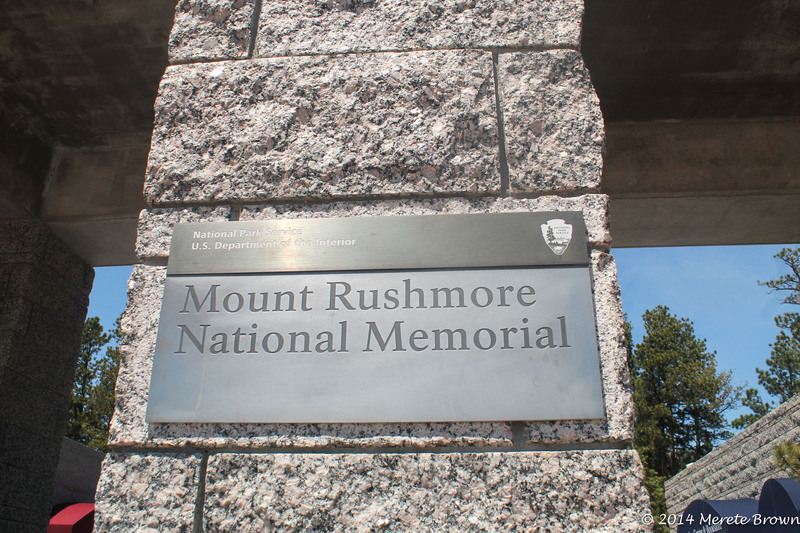 After seeing the oddities of gravity, we continued on to Mount Rushmore. 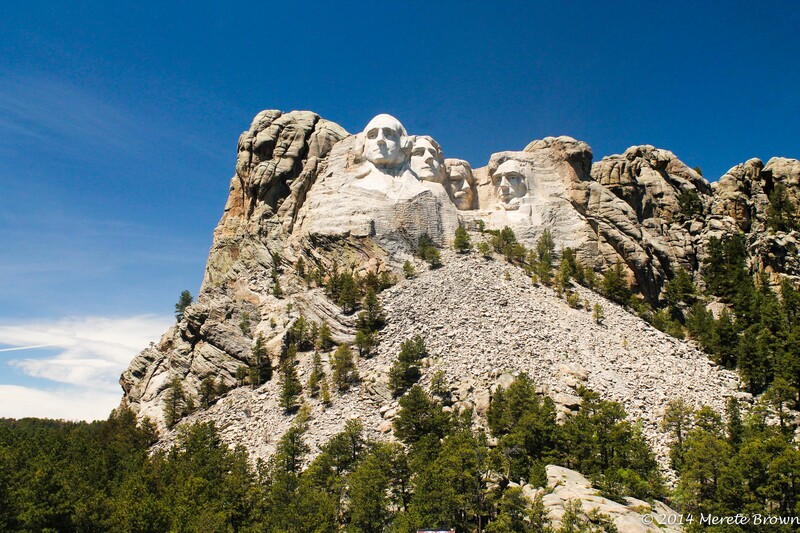 Mount Rushmore, an American landmark built into the side of the Black Hills, was as peculiar but iconic as I would have imagined. 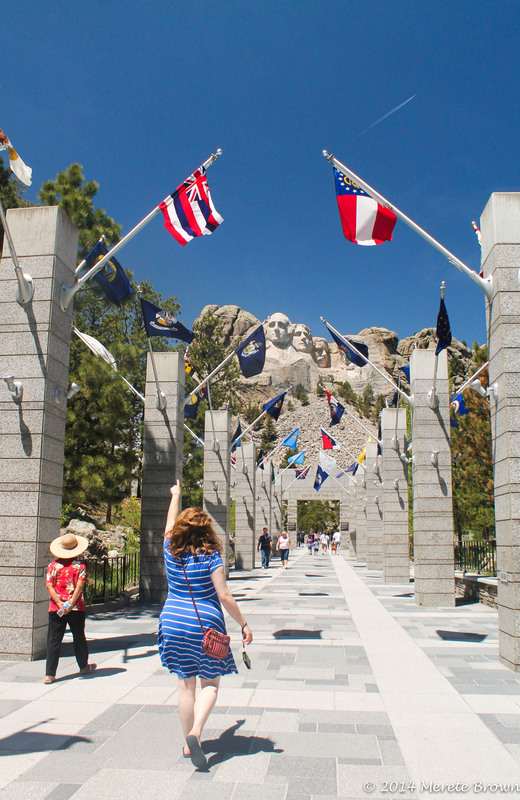 The four presidents, George Washington, Thomas Jefferson, Theodore Roosevelt and Abraham Lincoln, happily smiled down from the mountain as we made our way through the Hall of Flags. 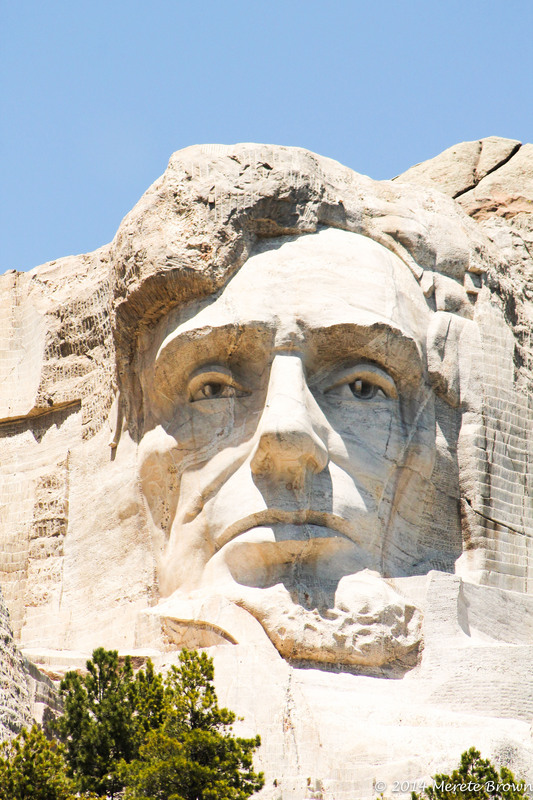 Sculpted by Danish-American Gutzon Borglum and his son, Lincoln Borglum, Mount Rushmore was declared completed between 1934 and 1939 after tireless efforts to continue to raise funding. 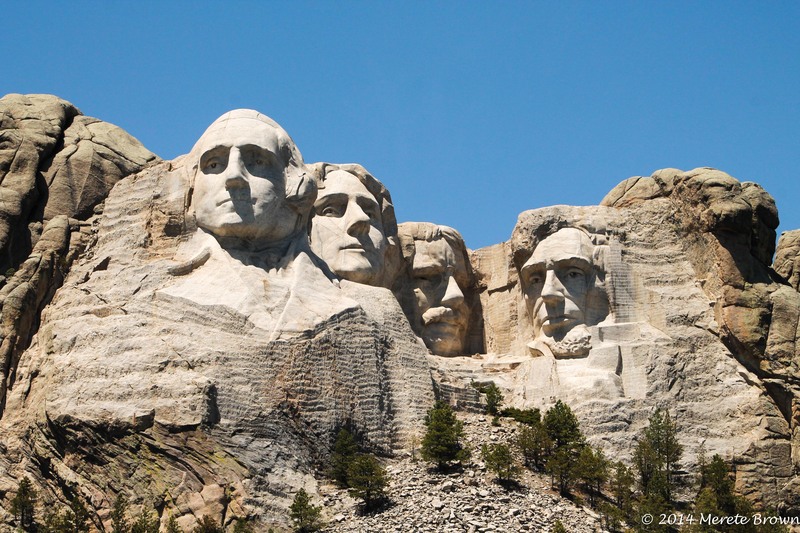 As we walked up the path to get a closer look at the famed presidents, American pride cloaked the park. 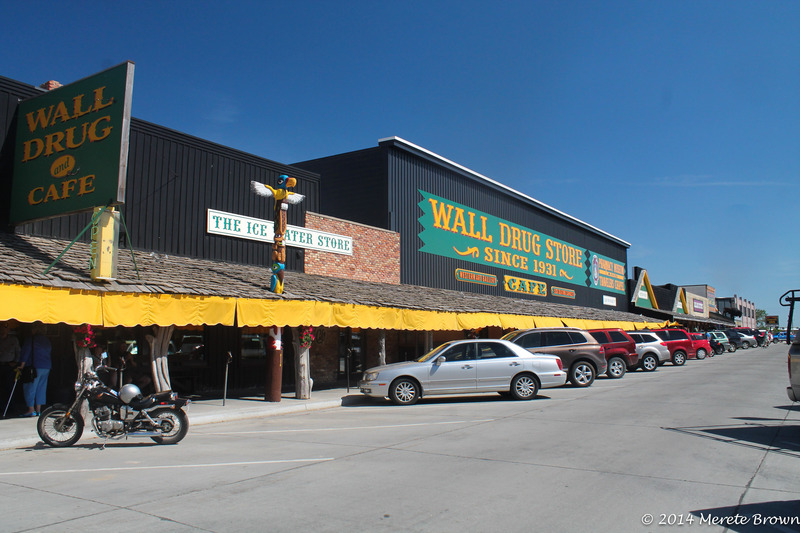 After a quick tour of the memorial, we hopped back on the road and drove towards Wall Drug Store, a common stopping place on the way through South Dakota. 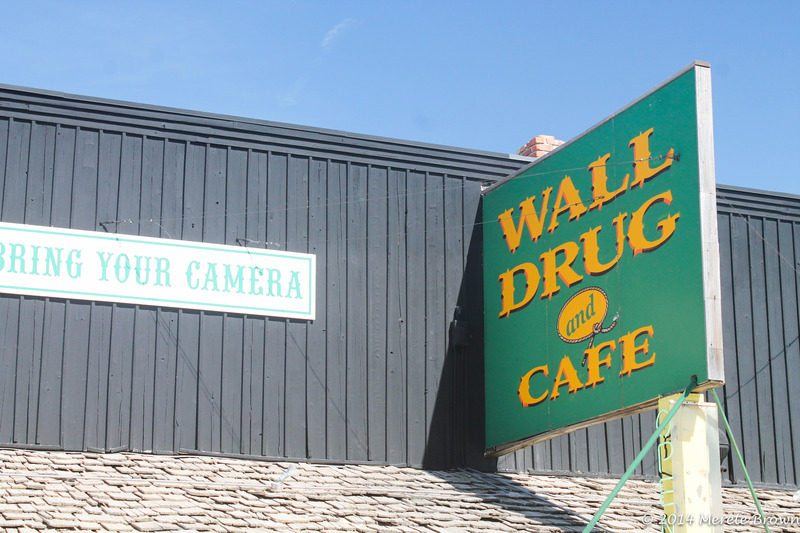 Wall Drug Store was opened in 1931 by a pharmacist and his wife. 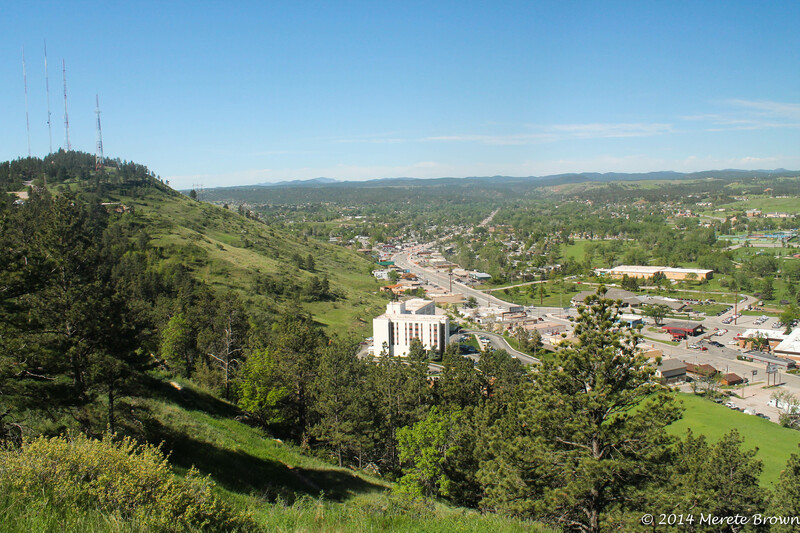 They settled on the town of Wall in the middle of South Dakota for two reasons: It was a small town and it had a catholic church. Arguably one of the best marketing campaigns across all of America’s open roads, the owners of the drug store came up with an idea to place signs along the highway miles and miles away advertising free ice water. By the time people actually got to the store, they were dying for some water. Starting as just a single store front, today the store covers several blocks and attracts up to twenty thousand people on a hot summer day. 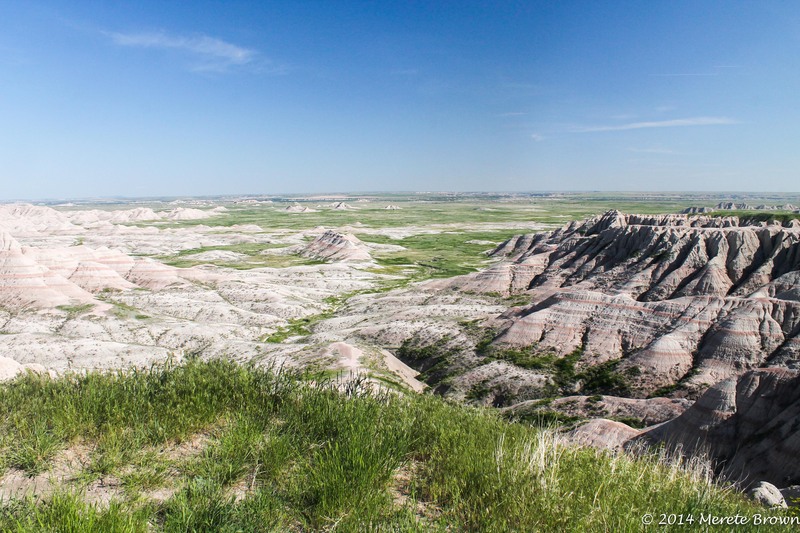 After a quick bite to eat at Wall Drug, we kept on driving through Badlands National Park. The green plateaus towered over the flatland below in an odd contrast of life meeting desolation. 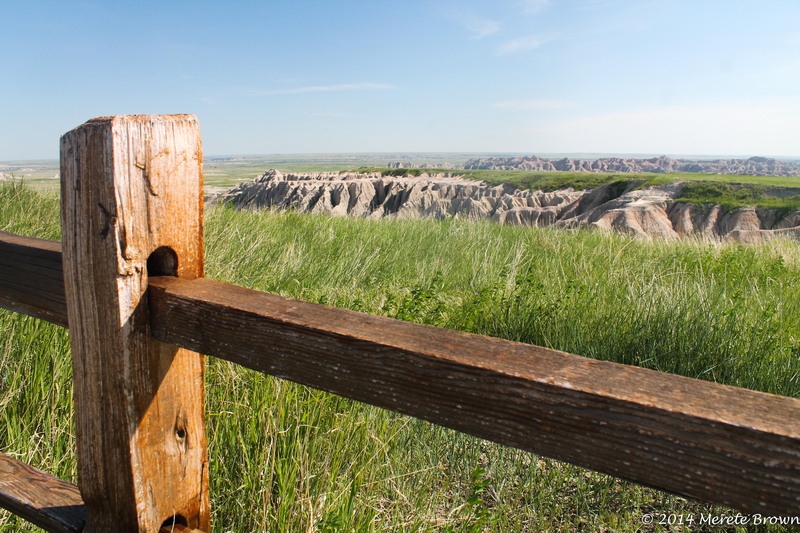 The Badlands originally received a bad reputation as being a difficult area to travel through by the Lakota people and fur trappers due to high temperatures, hence the name. 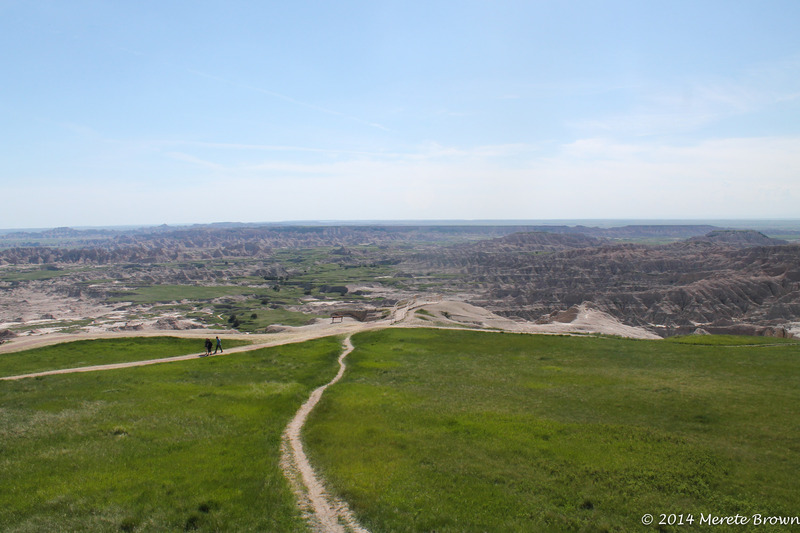 But the Badlands actually more accurately derive their name from the way they are formed. 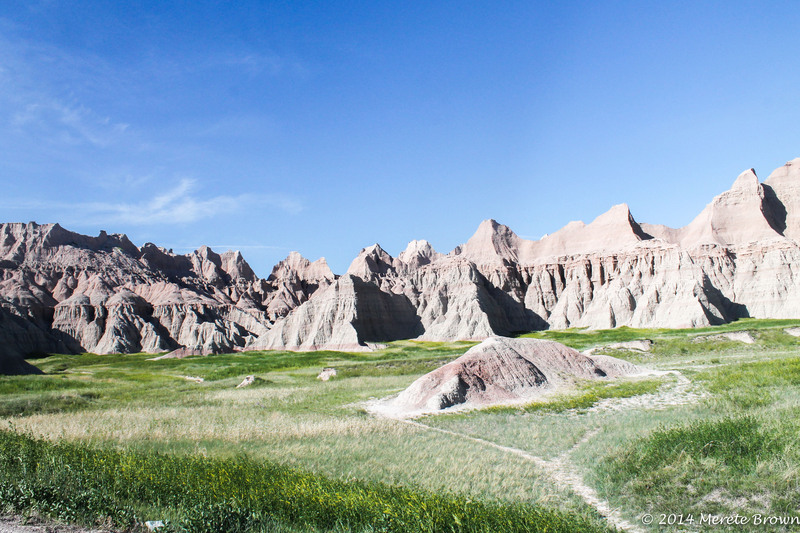 Badlands form when soft sedimentary rock is extensively eroded in dry climate. 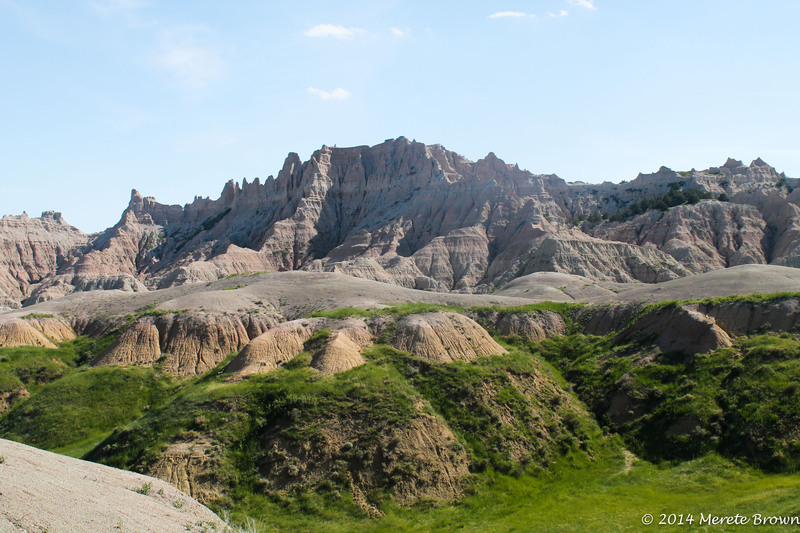 What results are sharp spires, gullies and ridges throughout the park. As we left the Badlands, the sun began to set on another day. 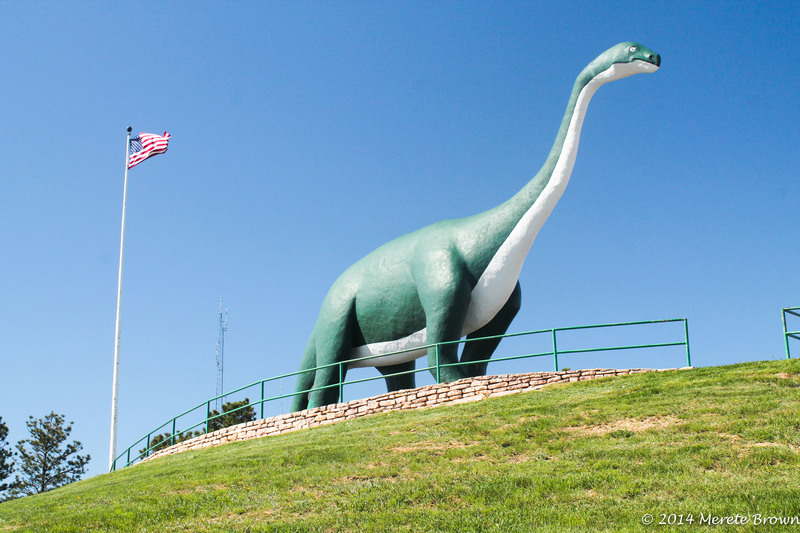 We drove through most of the night and finally reached La Crosse with little time to spare before sunrise. 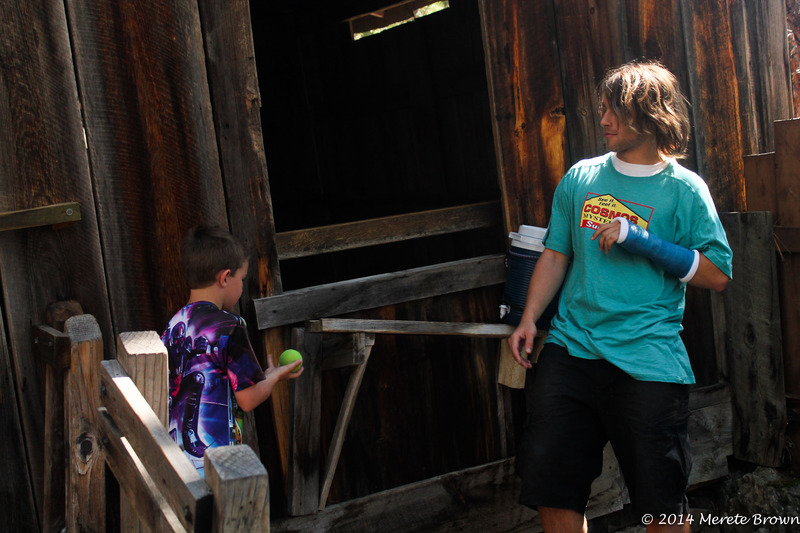 We’d soon embark on day four.